A week after my face-to-face assessment I phoned up the DWP and requested a copy of the assessor’s report. I was told to expect it within 7 to 10 working days. 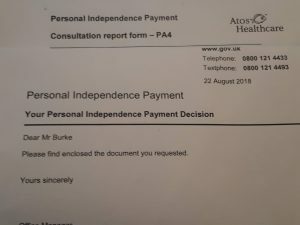 Two weeks later I received a letter from the DWP which said they now had enough information to be able to make a decision but no sign of the Assessment for my PIP benefits report. “Umm” I thought to myself, they need a reminder. Three days later it arrived. It is a 20 page report and divided into three sections. This is a precis of my answers to the PIP form that I had completed. The assessors version of my answers made me realise that I had not placed sufficient emphasis upon my disabilities and what I am not able to do reliably, safely and repeatedly. Answering the questions stating what I cannot do on a bad day is counter intuitive. I don’t dwell on my disabilities instead I will always try to make my life as normal as possible. I almost never think “Damn I can’t do that anymore”. Instead I pride myself on what I can still achieve. ‘No evidence of cognitive impairment’. How did she come to this conclusion? ‘Sat down and stood up using chair and table for support’ would indicate that my balance and motor control are not very good. ‘Transfered from trike to wheelchair independently’. Yes I can get on and off The Trike on my own but it requires my full concentration and a lot of practice. So why not add ‘but carefully’? Do these last two statements made by the assessor contradict each other? This is the crunch bit. DWP award a score showing level of disability for 12 different activities. The points determine the benefits I will receive. How can a person’s disability be assessed accurately just by looking at the ability to complete 12 activities? I think the assessor did a reasonable job in assessing my disability. 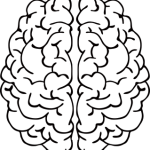 I think MS is difficult to assess because of hidden disabilities. My school report frequently showed ‘he needs to pay more attention to detail’. I think I would say the same about the assessor. There are crucial aspects that the new benefits system conveniently sidesteps. It evaluates my disability using crude and simplistic methods but it does not consider ‘Quality of Life’ and how it has affected my life. I would recommend that you contact CAB when completing your PIP questionnaire. The person I visited was incredibly helpful so please check this document. The answers given by the health professional provide sufficient points for my PIP benefits to mirror exactly my DLA benefits Obviously I must wait for the final decision from the DWP. This should arrive within the next couple of weeks. My fingers, legs and toes are crossed. Your assessor was following instructions on screen and ticking boxes, not listening or observing you at all – mine did the same and I ended up with zero points. I naturally belittle my disabilities, as you and we all do and have to to wake up day on day. You mayb well get zero points as I did so then you get CAB to do the next process of going to Court of Appeal, filling in the form saying your assessment was not done thoroughly enough etc. Then go to GP and ask them to write a letter To Whom it may Concern, for you. Thta is an evidential document. See the MS nurse, get referred to the OT, and to the Orthotics dept and to the Wheelchair Clinic. Each will write a report and send you a copy tat may or may not be useful and you don’t have ot use. But you will have a splint on your ankle and a nice new wheelchair to use for the Court when the day comes. Get your council OT to visit and ceck out your home and do a report. Use tat information, are you doing furniture wlaking around the home and have you got callouses on your knuckles to show for it? Get the Fire Brigade to come and see to the smoke alarms they fitted for you and ask for the risk assessment – make notes to be used. You get to send more documents within a week of the court date. Get tat ready and sit down to write out the answers to any questions they might have, what your life is actually like starting from waking up to going to bed, what do you and can you acually do? Honestly. Stop playing it down and play it up. 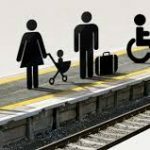 get someone to go with you, having made sure the Court knows you need avenue with wheelchair access. Use it, stay in it. Say little, show your tiredness and dificulty in thinking what they are asking, take your time, ask them to repeat questions so you have time to get it right and not say much. Min easked if there was anything else i wnated to say, but I honestly couldn’t think at all and said so. Sounds like you had a very tough time with PIP. Touch wood mine is at the opposite end of the spectrum. I know how difficult it is to put down in writing your degree of disability, inability to do things. I went through this task and then visited CAB who were very clued up. My basic advice would always be to talk to someone who you have known for several years when answering the questions. An independent view and evaluation of your condition is essential. At the end of the day DWP make you feel insignificant and irrelevant, it is very humiliating. The DWP helpline were very open about it. He said, you disabled people are a weight on the public purse and the sooner you die the better. He even repeated it on request but when I reminded him that my phone also records all calls he ended the call. They had already told me it didn’t matter what I put on the form because it was predecided. The whole thing was seriously detrimental to my health! I do hope yours goes better. What I achieved was a ruling in the HoC that variable progressing incurable conditions should be assessed on the basis of 50% of the days of the year. Answer all questions in percentages from now on so they know you are aware of the law. court. I think it has been a bit of a postcode lottery in the worst way possible. I feel sorry for you and I do understand how it can be bad for your health. Stress levels go through the roof. I have done the face-to-face interview and the assessor has awarded me full mobility and middle rate carer benefits. This has to be confirmed by the DWP. IDS and the attempts by the DWP to save money looks to have backfired. I think they thought the disabled were an easy pushover.